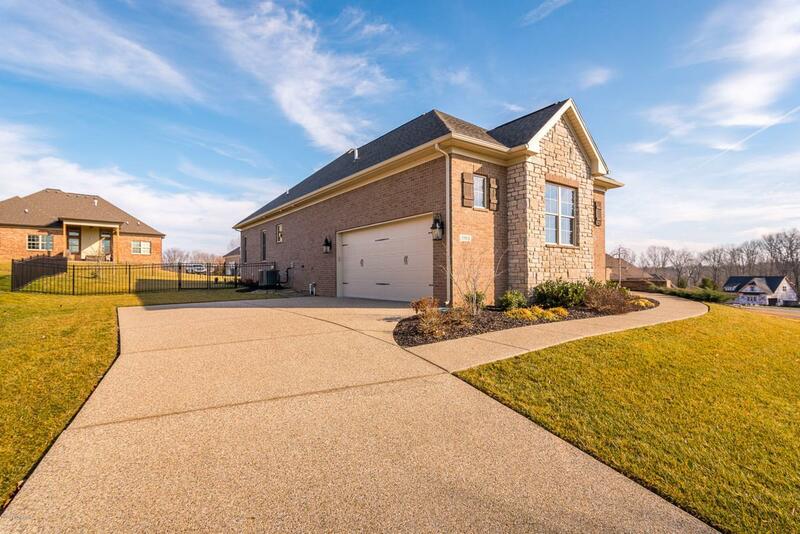 Stunning, better than new, craftsman 4 Bedroom ranch in Oldham County's highly sought after Heather Green! 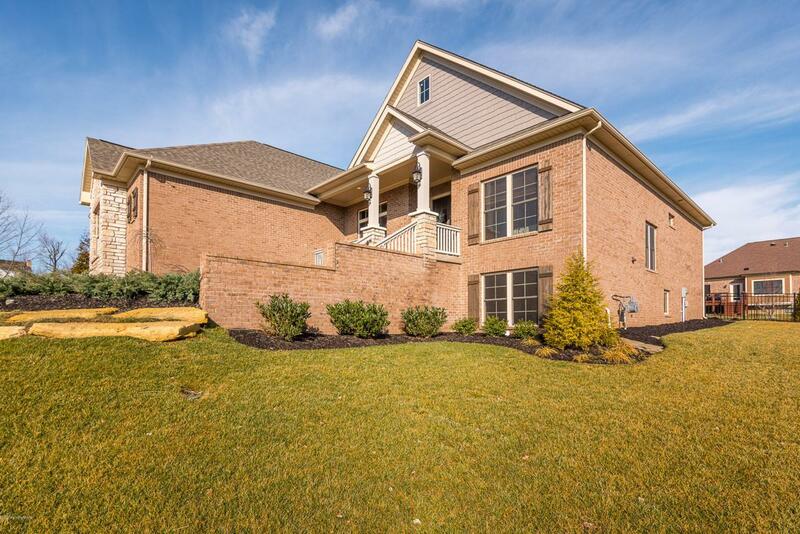 This incredible home showcases amazing features and updates and upgrades - as a matter of fact, this was a 2018 Homerama floor plan - completely open and split bedrooms! 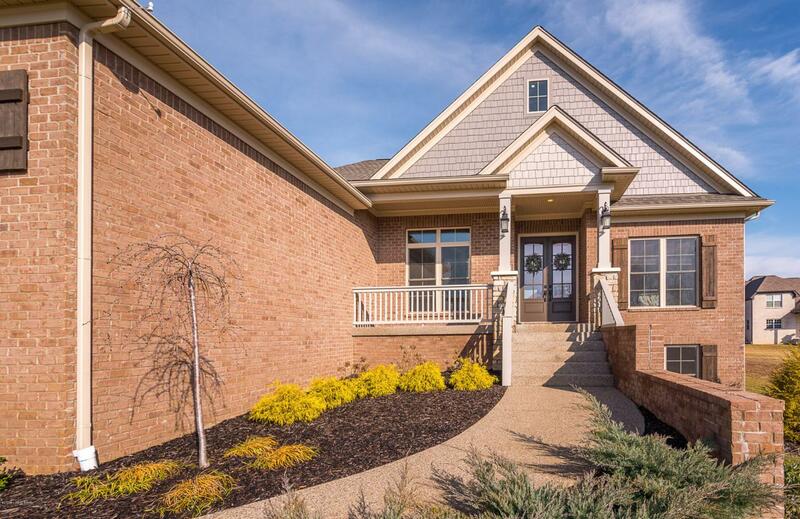 Prepare to fall in love here with the custom trim package, the featured varied ceilings heights and styles, rich hardwoods and a deluxe fireplace, from the moment you enter you'll know you've arrived! The amazing great room opens completely to the appointed chef's kitchen featuring all the upgrades you'd expect, from incredible custom cabinets (yes they soft close), delicious granite, subway tile backsplash, custom over-size island and more counter space than ever needed! You'll be lost in the luxury of the mastersuite and all it has to offer including plush new carpet! The secondary bedrooms will blow you away with the fantastic space they deliver! Downstairs you'll discover more awesome space including a 4th bedroom, private bath, a living area and a work-out area and an amazing amount of unfinished space - storage galore! 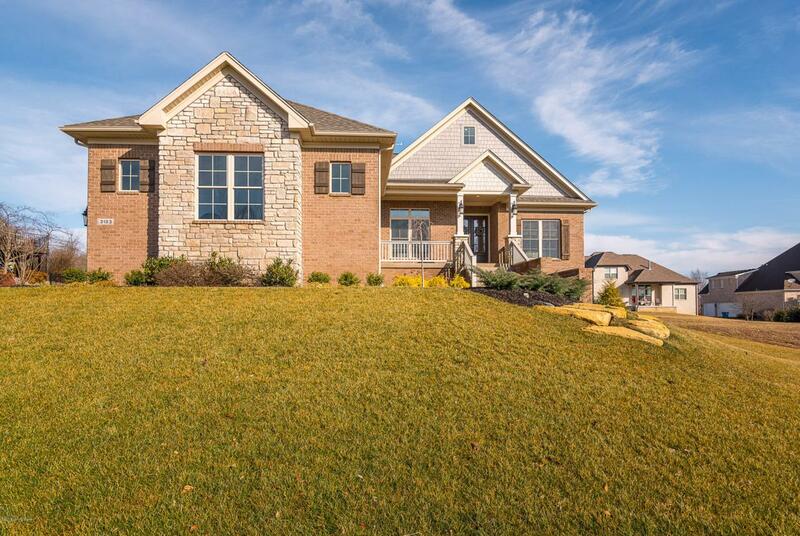 Outside you'll love the covered deck, the fenced backyard, irrigation system, oversized garage and so much more! Don't let the age of this one fool you, it wasn't completed in construction till 2017 and it's barely been lived in! All this and Oldham County award winning schools! This one delivers all the lux you deserve and is a must see! Hurry!